Hi! 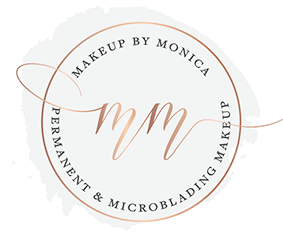 Monica Mckay here, inviting you and a friend to beat the heat at our Summer Botox and Filler Party. LPN Kristen Harris will be in attendance again, making sure your skin is ready and radiant for summer. During the event Kristen will be offering special discounts on her most popular products including Botox and Juvederm. Now’s the time to celebrate summer with beautifully, rejuvenated skin. This exclusive event will take place Thursday June 16, from 2-7. I will be there as well offering attendees special discounts on my top of the line beauty products and services. This event is an open house event operated on a first come first term basis for the Botox and Juvederm. Specials will only be available on the day of the event. A sign-up sheet will be made available beginning at 2pm, with bookings every 30 minutes (longer if the request is for a filler). Please RSVP by calling me, Monica McKay at (360) 910-2040. Limited space is available so RSVP today to be added to our VIP list. Bring a friend and receive even more discounts! Bring a friend that is new to our practice and you will both receive 15% off Permanent Makeup. How many units of Botox do you need? Everyone’s skin is unique. If you are new to botox and fillers, feel free to consult with Kristen prior to your appointment to determine how many units you’ll need for ideal facial smoothness. Who administers the Botox and fillers? Botox and fillers will be provided by LPN Kristen Harris herself. Your face should only be intrusted to an experienced physician technician. Botox is the only FDA- approved treatment that temporarily improves moderate to severe crow’s feet and frown lines in adults. Botox is injected into muscles at the site of treatment. You may begin to notice results within 24 to 48 hours for treatment of moderate to severe frown lines. Juvederm is a dermal filler used to provide correction of moderate to severe facial wrinkles and folds, such as lines from the nose to the corners of the mouth. Certain kinds of Juvederm are also widely used for injection into the lips and perioral area for lip augmentation. Juvederm is one of the most natural looking fillers that gives you instant results by filling in lines and hollow areas and plumping the skin to it’s original state. By injecting the hyaluronic acid, your skin can regain thickness and substance. Effects last anywhere between nine months to one year. ← Date Night Event was a Roaring Success!